Blog Join our referral program: Give a friend $25, and get $50 yourself! UpCloud is growing fast and with so much happening that it’s sometimes difficult to keep track of everything. Our success is much thanks to our dedicated users and we want to take a moment to give something back. So today, we are happy to introduce our referral program! The referral program is our way to reward our enthusiast users! By recommending UpCloud to your friends, all of you can earn bonuses on your UpCloud accounts. For every new signup you invite, they will receive $25 in free credits which they can spend on any of our services. In return, as a token of our appreciation, you will earn $50 for your own account! All the new user needs to do for you to qualify, is to make the minimum one-time payment to upgrade their account from the trial mode. 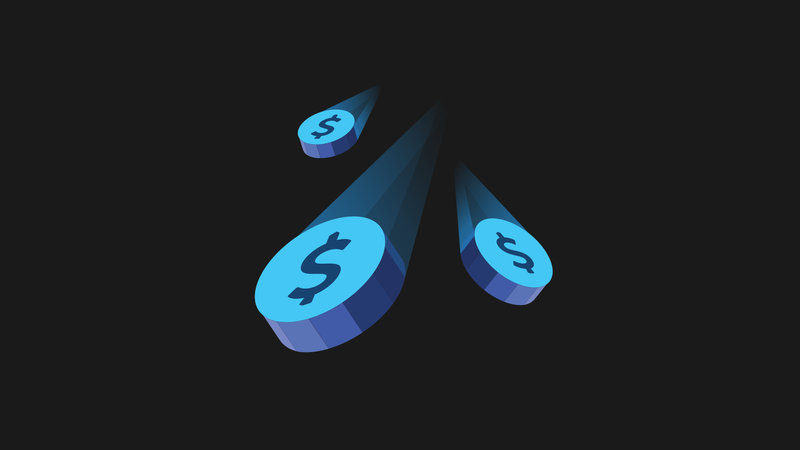 And in addition to that, every new user who signs up through the referral program will also get a $25 bonus to get started with. Your unique referral code and link can now be found in the new Referral Program tab under your Account menu in the UpCloud control panel. Share it with your friends, relatives, co-workers, acquaintances, followers, and the whole world using the helpful social media buttons or simply copy the link and email it. On the Referral Program page, you can see when someone has signed up thanks to your invites. Keep track of your earned bonuses and continue getting rewarded for your recommendations. The more you share the more you can earn! 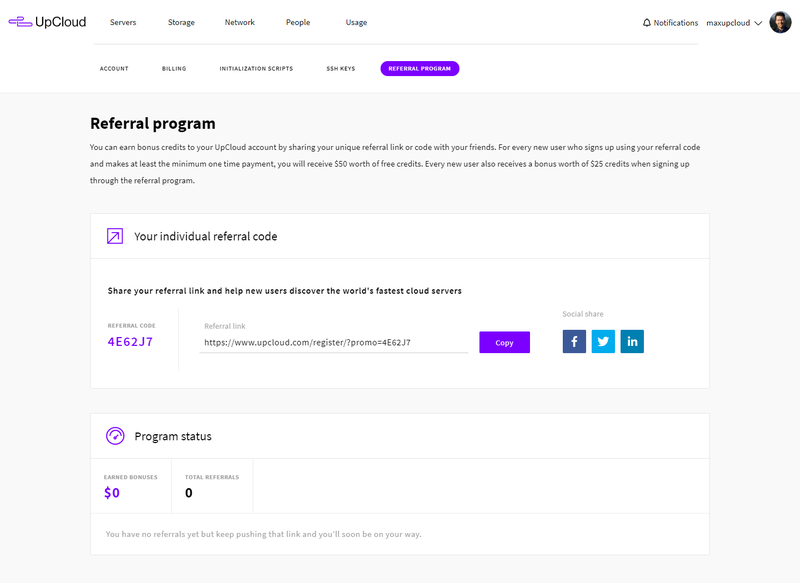 Check out the Referral program to find your unique link in the control panel and get sharing. Because everyone deserves to get on the world’s fastest cloud!